While the 1917 strikes called for salary increases and better working conditions, the May 1918 strikes had a pacifist goal. Weapons factories were working at full throttle and employees were exhausted by increasingly harsh working conditions. The slightest protest could send them straight to the trenches where the situation was hardly more enviable. Drawing inspiration from the revolutionary ideas of the Russians, the metalworkers’ shop stewards decided to go on strike to stop the war. The movement, which began with a “sit-in” strike in Renault’s plants in Billancourt, spread to several munitions factories in Paris, and then to the provinces. A total of 200,000 metalworkers took part. They wanted to trigger a parliamentary debate on the aims of the war. 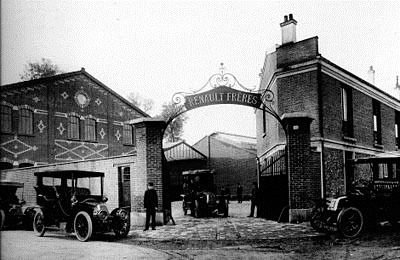 Renault’s top management closed the workshops shortly after the strike began. But the country had launched a full offensive against Germany with the repeated use of tanks. The strike soon became unpopular and petered out. It came to an end on 18 May at Renault and 28 May in the rest of France, just a few days before the first massive engagement of Renault tanks.